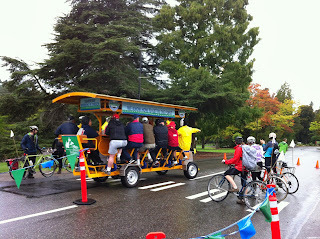 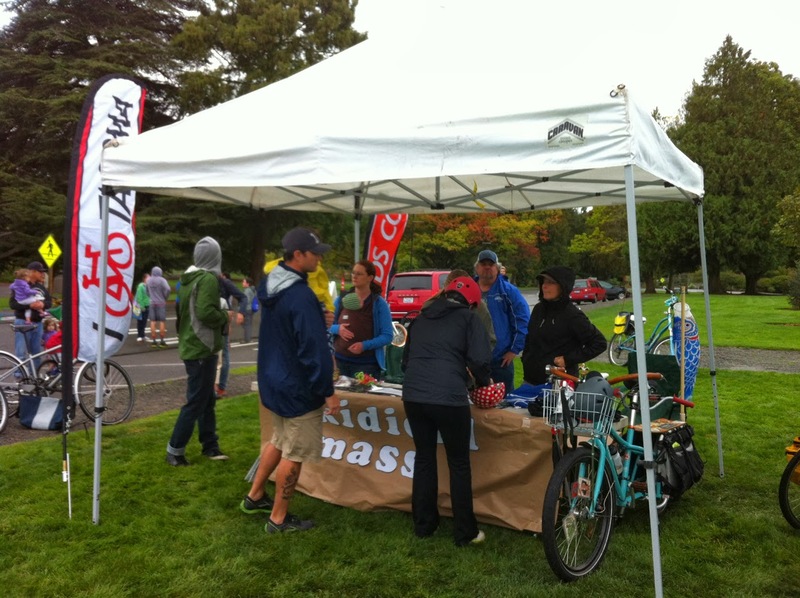 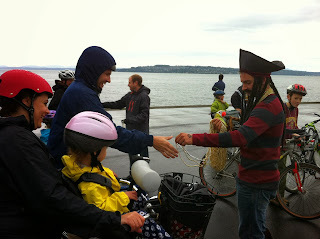 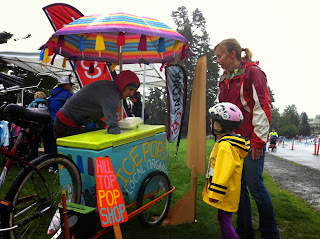 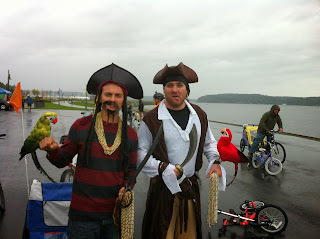 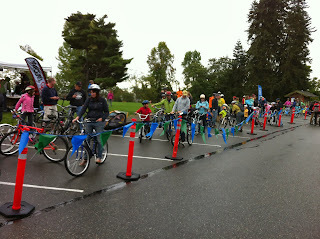 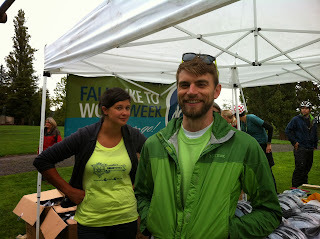 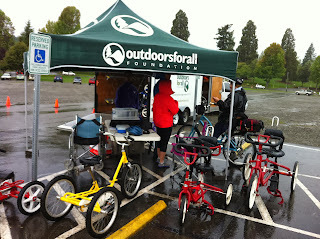 Last weekend we wrapped up Tacoma's first season of Kidical Mass with our fifth and final ride of the summer. 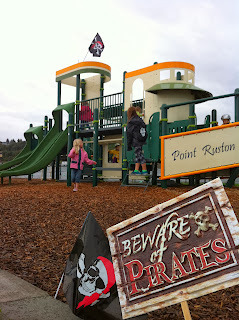 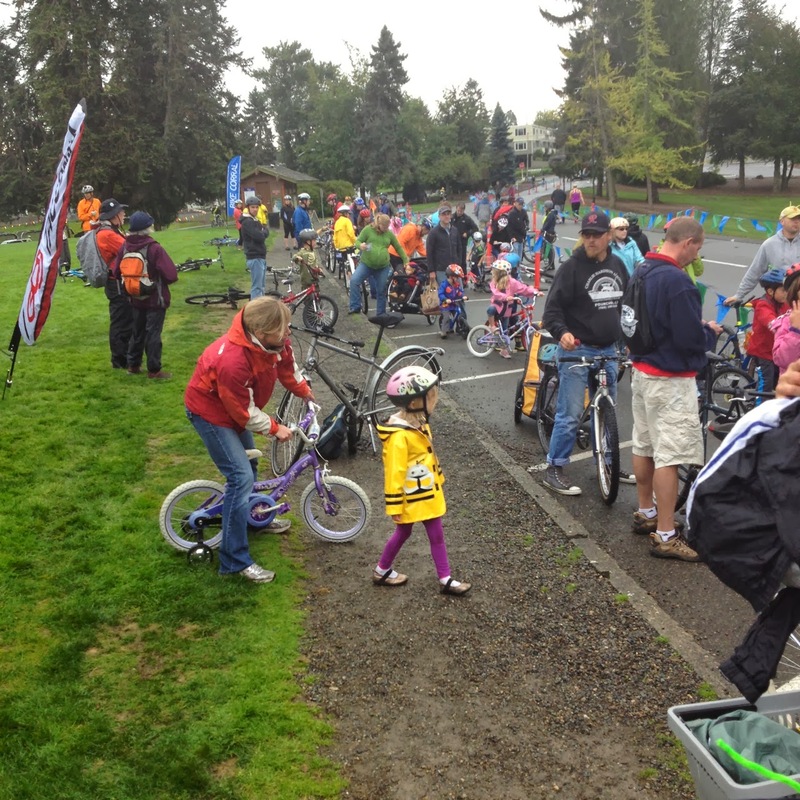 Kidical Mass went Point-to-Point with over 100 kids, parents and friends riding together on the new waterfront trail from Point Defiance Park down to the playground at the Point Ruston development. 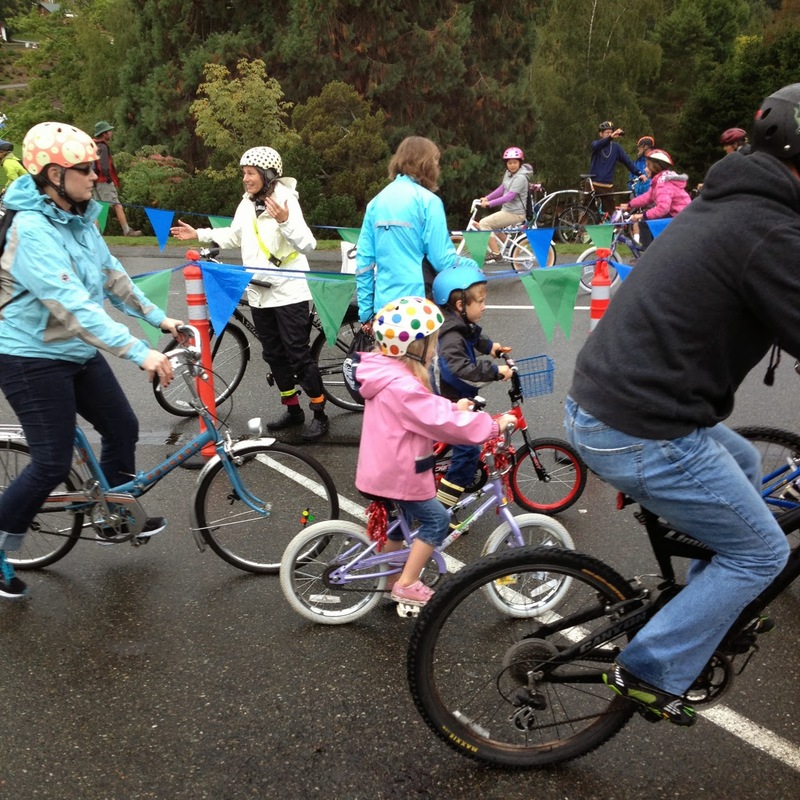 With nearly 250 participants pre-registered for the ride, I was amazed to see so many families turn up on what was a very wet and chilly day. 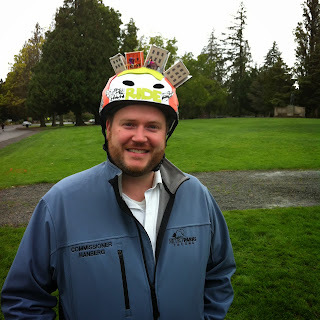 It's evident that Tacomans want their kids to ride! 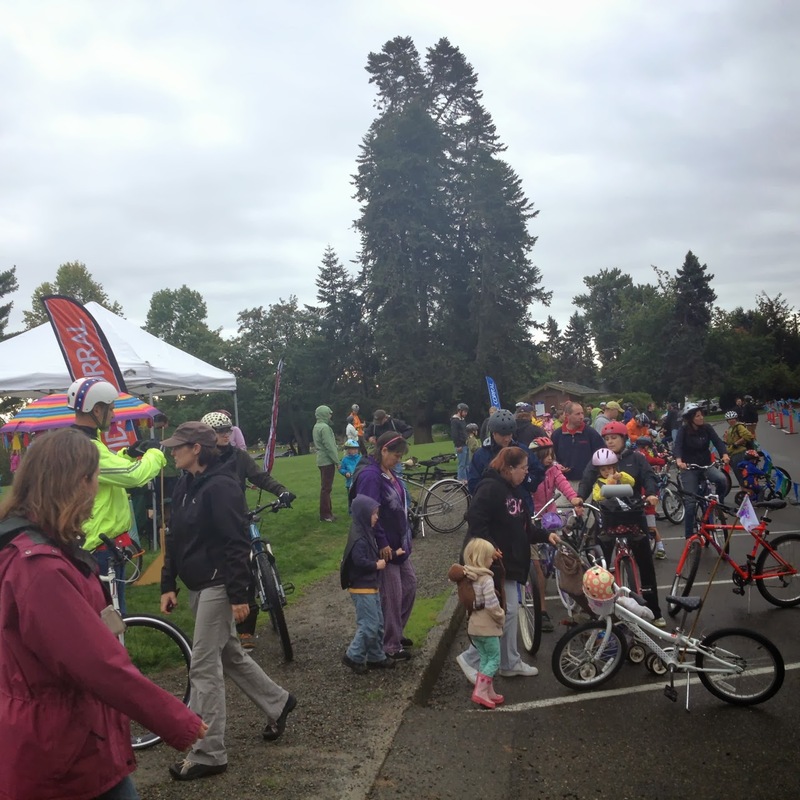 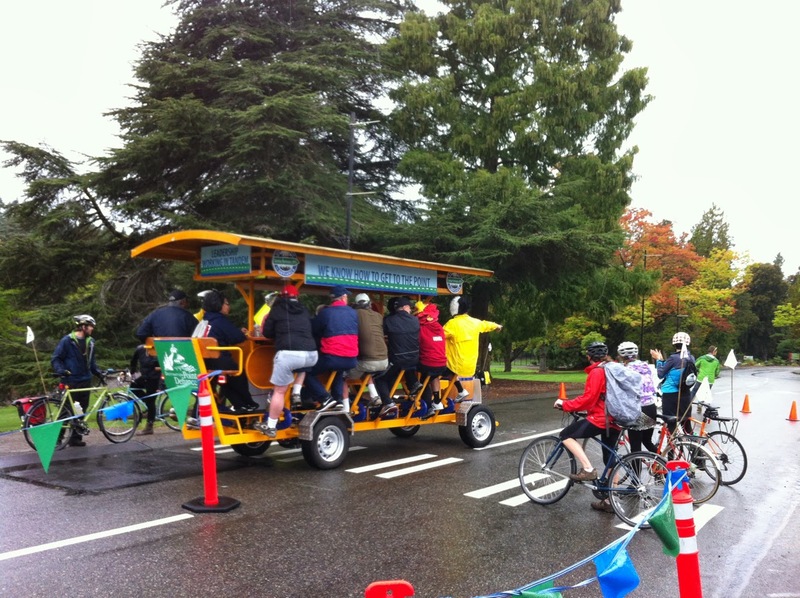 The Point-to-Point ride was just one component of MetroParks's Downtown To Defiance Sunday Parkways event, a first-of-its-kind activity for Tacoma that opened a 7 mile stretch of our beautiful waterfront solely to cyclists, runners, and pedestrians. 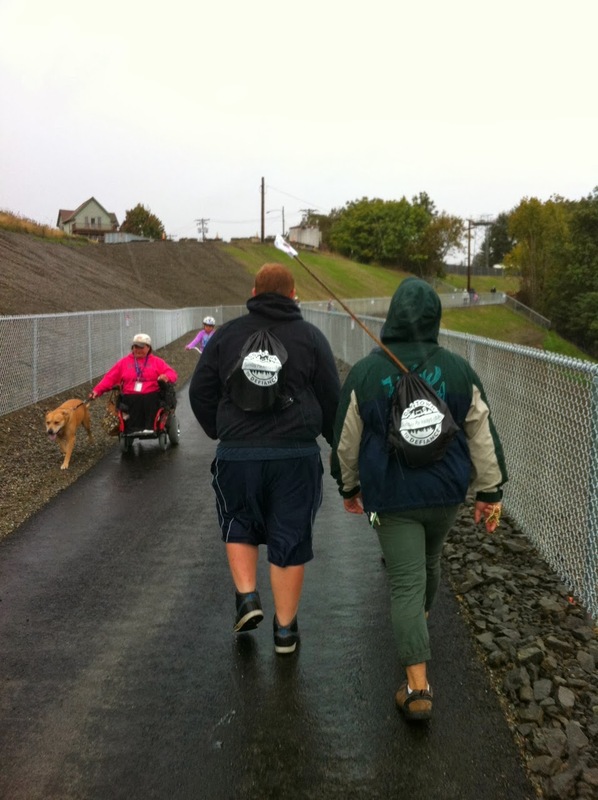 MetroParks estimates over 800 people took the opportunity to ride, run or walk part of the trail that morning. 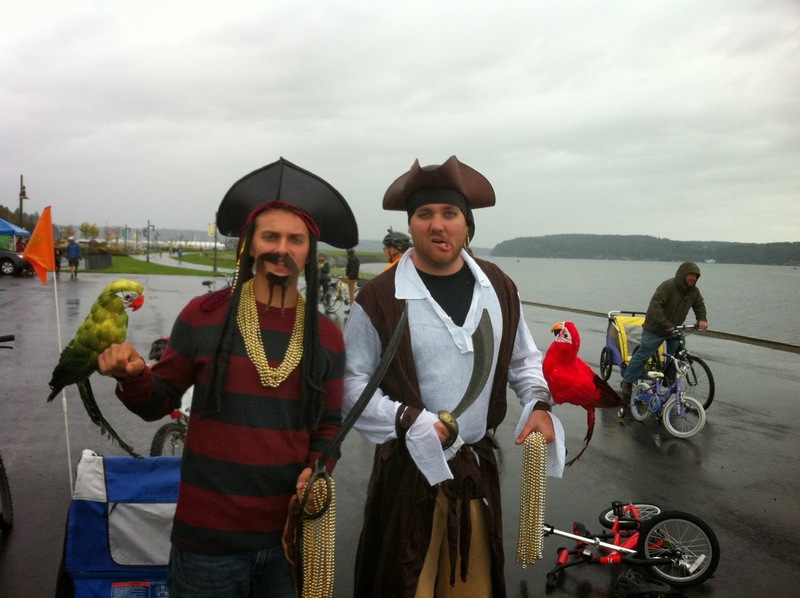 On behalf of our riders, THANK YOU to the Tacoma Wheelmen's Bicycle Club, Hilltop Pop Shop, Point Ruston, Defiance Bicycles, Downtown On The Go, MetroParks, and the City of Tacoma for organizing this event and supporting Kidical Mass in Tacoma. We're already looking forward to more family rides in 2014!